George Mickelson, one of South Dakota's most progressive governors, was killed in a plane crash near Dubuque, Iowa on April 19, 1993. Several key business leaders traveling with Mickelson also perished. Those who died in the crash included state Economic Development Commissioner Roland Dolly; state Energy Policy Commissioner Ron Reed; banker Dave Birkeland; Roger Hainje, director of the Sioux Falls Development Foundation; Angus Anson of Northern States Power; and two pilots, Ron Becker and Dave Hansen. 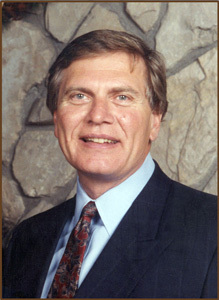 Mickelson, a Mobridge native, was in his second term as governor and died at age 52. Mickelson's years as governor changed South Dakota. The Republican leader led a push for reconciliation with the state's Native American population, created the Department of Economic Development and initiated video lottery in the state. He worked to improve education, increase the minimum wage, promote health care reform, and solve water issues. On Friday, April 19, 2013 SDPB Radio's DAKOTA MIDDAY program also looked back at Mickelson's career, and the effects of the crash and the loss of so many state leaders. Listen now. Two DAKOTA DIGEST radio segments completed the 20th anniversary retrospective coverage. Listen: 04.18.2013 segment; 04.19.2013 segment. View a photo gallery on SDPB's Flickr site. 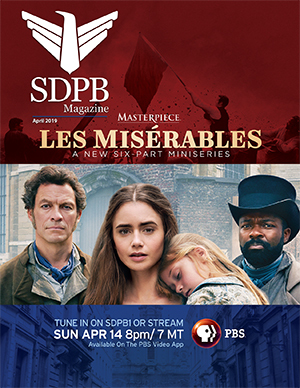 Click here to purchase DVDs of the SDPB video "George S. Mickelson In His Own Words"